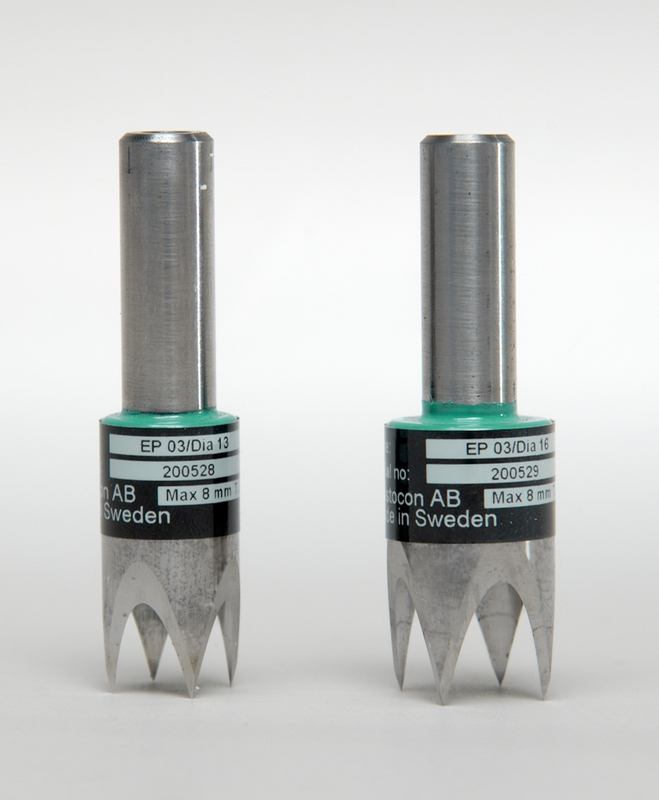 Drill cutters for compression and abrasion testing. These dies are made of hardened steel. They are placed in a stationary drill and used in conjunction with a soft cutting board. During cutting a lubricant such as ethanol or propanol is used.